The experience of authenticity is becoming the subject of the cult of the postmodern pilgrim, which is in fact a tourist. What does a pilgrim search for in a strict sense, how does he differ from a tourist and why is this form of spending time still attractive for rather large groups of people? These are the questions that Cichoblazinski tried to give insights about during his speech! 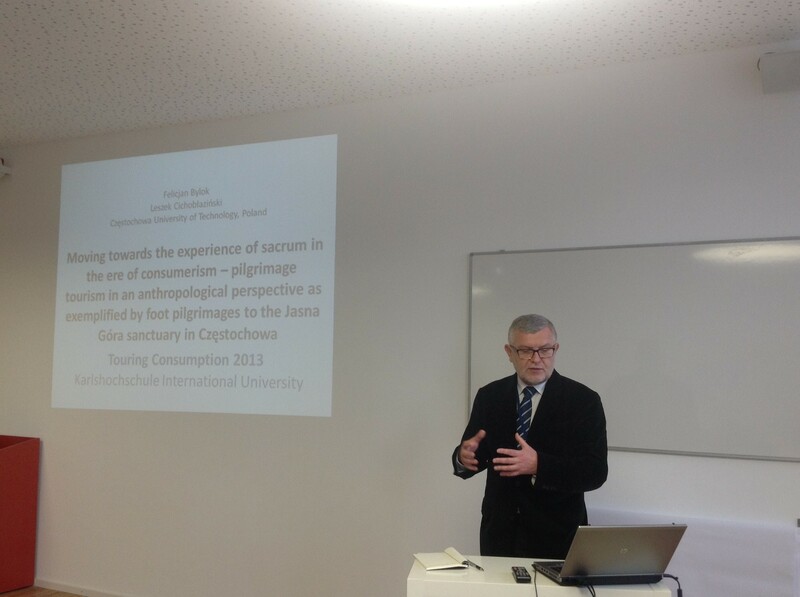 He talked more about the growing interest in pilgrimages on foot in Poland and around the world! He gave direct numbers about the increasing numbers of pilgrims to the sanctuary of Jasna Go?ra, Poland and stated that 300,000 people come on foot to Cze?stochowa every year. He talked about the tradition of those pilgrimages that they brought with their selves such as burning candles when they arrive to Jasna Go?ra. At the end of his speech he talked about the differences between tourist and pilgrimage in a specific manner and what is important for pilgrimages and what is important for tourists!